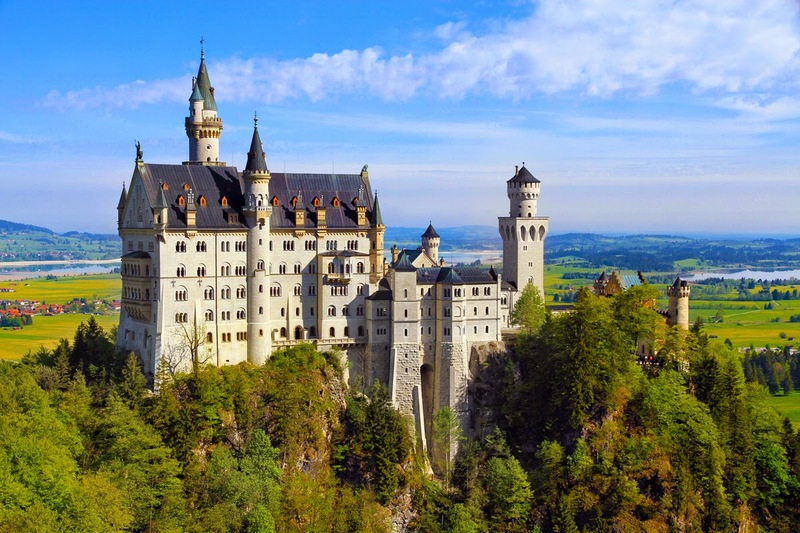 Best Holiday Destinations: Neuschwanstein Castle – A Mesmerizing Castle And Ways To Reach There! Neuschwanstein Castle – A Mesmerizing Castle And Ways To Reach There! Germany which is famous for World War II is a home for some beautiful, jaw dropping locations which should be visited once in a lifetime. Germany has been legendary for cars since so long, people come to Germany for being a car lunatic but there are some places which will allow each person to rejoice the natural beauty and ethnicity of Germany. Though for some people Germany is all about drinking beer. This is not so one has so much to do in Germany apart from just having beer. Talking about Neuschwanstein castle which is located in Germany is a famous tourist spot among people from different ages. If in case you are looking for a ideal holiday destination in Germany, visiting Neuschwanstein castle can be of great help. This place on earth is straight from the heavens. People all around the globe wandering from different countries come here to be pleased about the beauty of this eye soothing castle. Money which has been well spent on the making of this castle long back and that has proven out in turn to be a tourist spot for people now. This castle is so glorious that it leaves everyone awestruck by its huge appearance and inner beauty. Dedicated study rooms and drawing rooms are present which are open for unrestricted viewing. From Munich is takes 2 hours to reach neuschwanstein castle. From Augsburg it takes one and a half an hour to reach neuschwanstein castle. The regularity of the train from both the stations is of 1 hour respectively and one can easily reach neuschwan in 50 euros which is the adult standard fee. For enjoying the beautiful scenery of germany and areas near this castle, a train journey is strongly recommended. You won’t be feeling aloaf while traveling in trains. There are many people from all around the globe who are present in trains and local people too. Interacting with them and enjoying the scenery can be of great fun! Yes, the roads near the castle are so narrow that it is not possible to drive a car through them. One can reach neuschwanstein castle with the help of marked roads. Dedicated roads are built which help one to reach neuschwanstein castle by foot in no time. If in case you are looking for a lovely walk with your loved one; you will be accompanied by many couples and family people who would be enjoying the weather and the landscape.